THE 1930 FEDERAL CENSUS provides the first comprehensive look at Hampton Hills. With development beginning in the 1920s, many homes were still under construction at the time of the 1930 census, which explains why information on some homes built around that time may be unavailable. In 1920, the census asked “if naturalized, year of naturalization.” In 1930, the Census asked only if the person were naturalized. 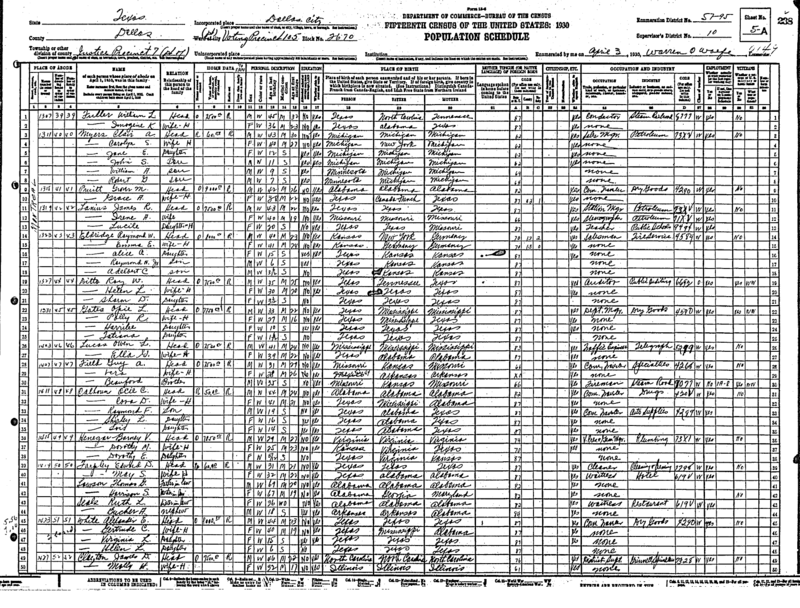 The 1930 census asked a person’s age at the time of his or her first marriage.